Legal Competency: When Is It Too Late to Create a Will, Trust or POA? Legal Competency: When Is It Too Late to Create a Will, Trust or POA? 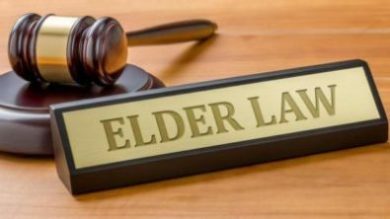 In elder law, I am frequently advising adult children who suddenly find themselves in a place where they need to help an aging parent. When parents end up falling behind on medical bills, or their decision making isn’t what it once was, as it pertains to their medical care, the topic of transitioning control over their personal affairs can be challenging. Unfortunately, signing a power of attorney (POA) over to their children can be seen as a loss of independence. However, failing to preplan or discuss these matters can be stressful and costly. In many cases, an attorney has to decide if a senior is deemed competent and legally able to sign a will, trust or power of attorney. • They are aware of their spouse and children, if any. • They know approximately their net worth and what kind of assets they own. • They realize that it is indeed a will they are signing and what that means. • They are able to make a disposition of their property according to a plan formed in their mind. A lawyer must meet with the individual in question and try to discern the above. If the attorney determines that the client is incapacitated, they must refuse to prepare a will. If it turns out that the client is not competent to appoint a power of attorney for health care and/or finances, it may be necessary for the adult child or another family member to seek guardianship. If you have any concerns or questions regarding Mental Competency you can contact me. We, as Elder Law Attorneys are always there to assist you. Call me at (262) 812-6262 to arrange a complimentary meeting. Elder Law Attorney frequently advise adult children who are deemed competent and legally able to sign a will, trust or power of attorney. Attorneys are always there to assist you regarding Mental Competency.